In addition to the well-approved EC 22 motors, Maxon Motor Australia now offers 40 Watt and 100 Watt variants, as well as a sterilisable version for medical use. 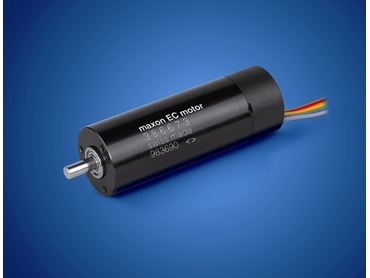 Designed for low-loss operation, these EC 22 motors feature low vibration and low noise levels even at high speeds. The performance-optimized drives are equipped with preloaded ball bearings and latest generation Neodymium permanent magnets. The extended series EC 22 motors can be considered as real “economical high performers” and they convince with their nominal torque of up to 44 mNm, efficiency of more than 90%, and now a 25% reduced speed/torque gradient. All EC 22 series motors are available sensorless or with Hall sensors, and with up to four different windings. They can be combined with a variety of standard gearheads and the sterilizable planetary gearhead GP 22 M in a wide range of variations. As a perfect motor’s match, the maxon modular system also features servo amplifiers and positioning controllers in a number of variants.